Redbrick Solutions provides many services to law firms and we take all of our commercial and regulatory obligations very seriously. The SRA has confirmed that they intended this to apply in circumstances where data is stored by a supplier and relied upon by a law firm, for example, off-site and or in a hosted environment. 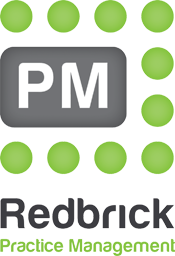 Redbrick Solutions provide their case management product to Firms and it is largely installed and managed within the Firms existing network. Internal management of the data including disaster recovery, data retention, data security and integrity and back-ups remain firmly the responsibility of the law firm. Where Firms have an off-site back up arrangements in place it is essential that they ensure information entered into our technology is backed up as part of the Firms existing business continuity routines. If Redbrick Solutions have provided the off-site backup service you can be assured that our service is a compliant one. If you use one of our online products such as IDYourClient.com we confirm that this fully complies with all the legal regulations and established best practices.